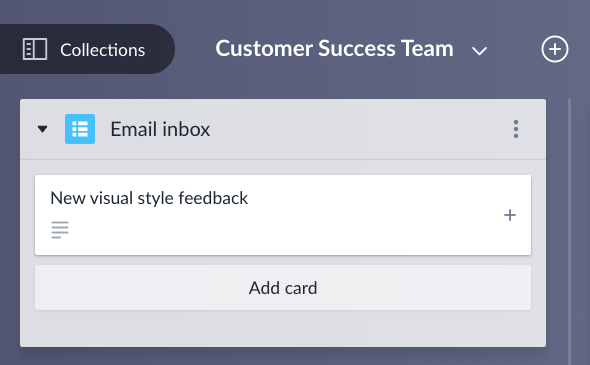 You can connect Favro with anything and everything via Zapier! First, you need to set it all up though. 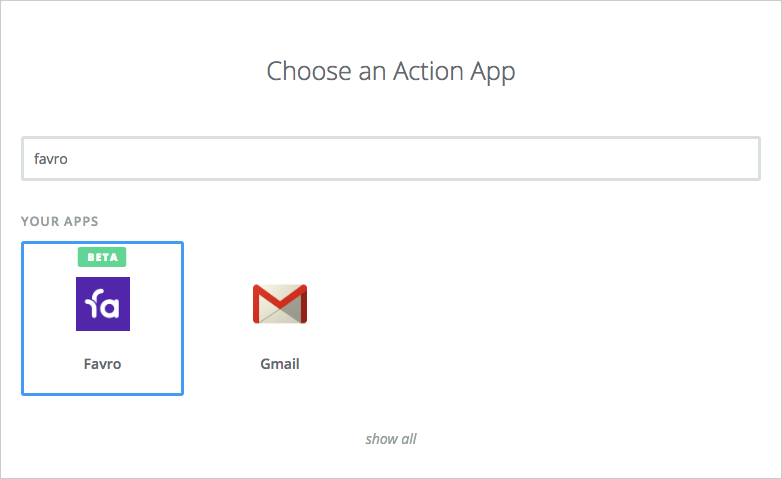 Currently, Favro only comes in the flavor of an Action App, so once you've set up your trigger app you can go onto selecting Favro as your action. Next, you select your action. In this case, creating a new card. 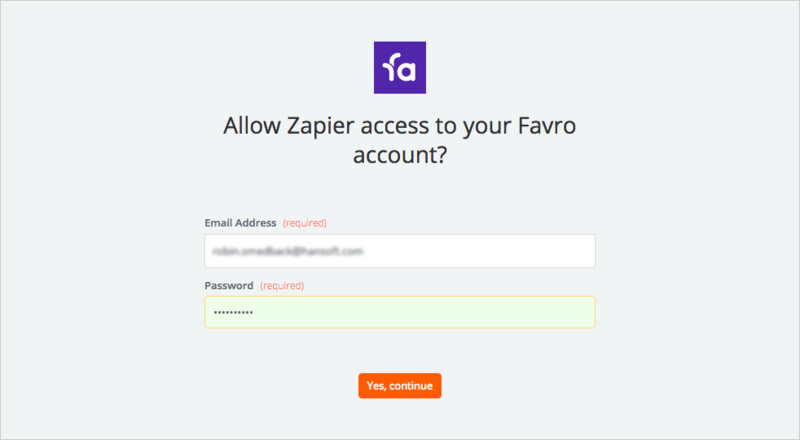 Then you have to allow Zapier access to your Favro account. 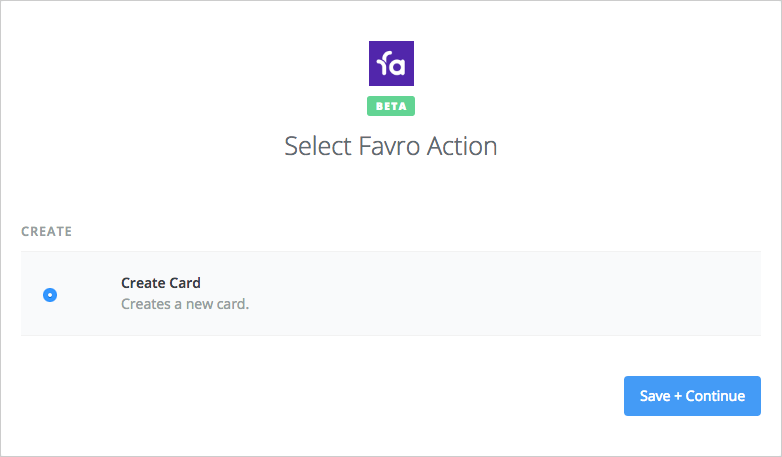 This will be followed by the set up window for your new Favro card. 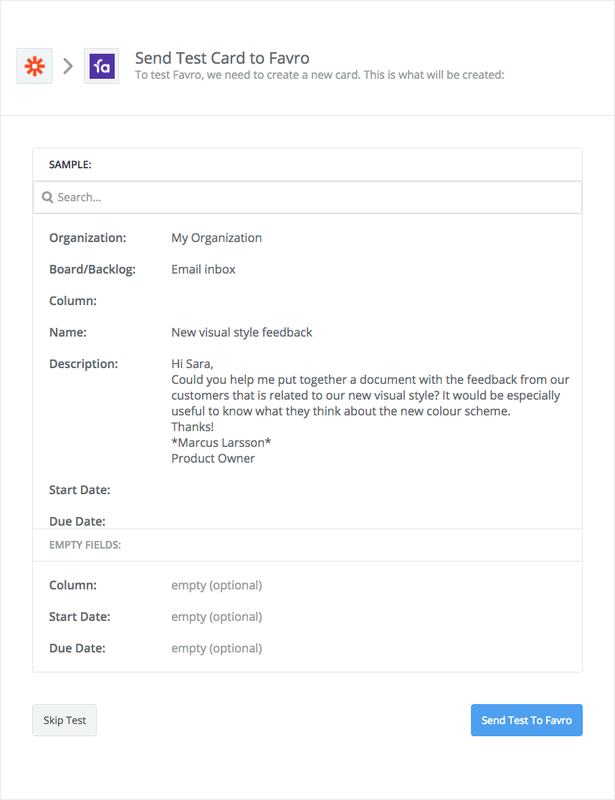 Select your organization and board or backlog (with optional column). 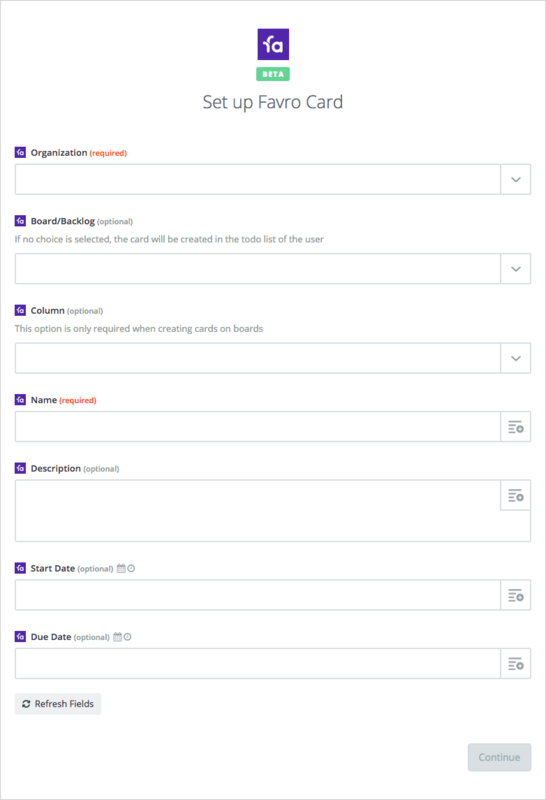 You also need to fill out a name and feel free to add a description and start and due dates as well. Once all is filled out, continue and you should be given a preview of what will be created. Click Send Test To Favro and this should lead to a successful test. ...and when opening the card it will look like this. 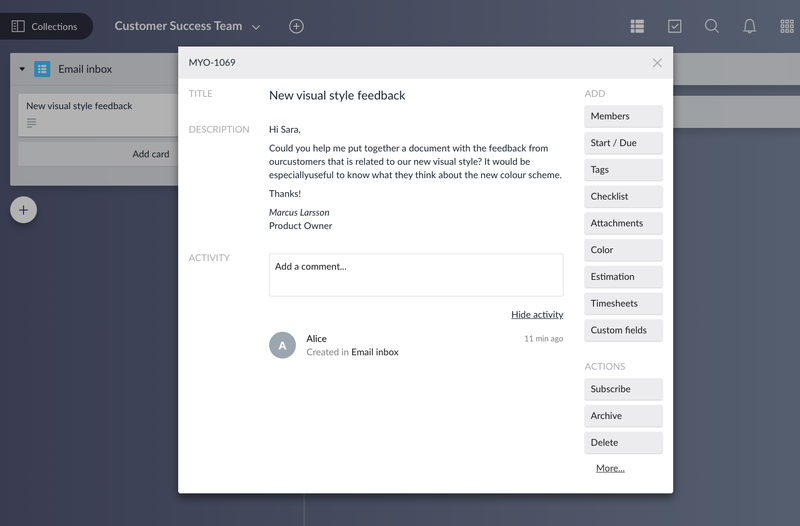 And that's it, you're now ready to work seamlessly with Favro and other tools. Find out more more by going to zapier.com.